The “Czechoslovakia in August 1968” photo exhibition and the movie “The Unbearable Lightness of Being” were recently shown at the Embassy of the Czech Republic and allowed those who came along to understand more about the history of the country and of Slovakia. This was the opening of a series of Czech and Slovak-colored activities organized by the embassy this autumn to celebrate the 100th year the Republic of Czechoslovakia declared its independence from the Austro-Hungarian Empire following the latter’s collapse after World War I. “The Unbearable Lightness of Being” was also the first screening in the Czech and Slovak Movie Festival, which will take place in November at both the National Cinema Center in Hanoi and Cinestar Hai Ba Trung in Ho Chi Minh City. Well-known movies from 1973 to 2017 will reveal to Vietnamese audiences a snapshot of Czech and Slovak society, culture and people in the past and today, according to Mr. Lukas Musil, Deputy Head of Mission at the embassy. All films have Vietnamese and English subtitles. This year, the movie “Bo Hai” (Father Hai), produced by a young Czech-Vietnamese group, screened in Hanoi and Ho Chi Minh City and was well received. It depicted the relationship between older and younger generations of Vietnamese in the Czech Republic, with the parents having moved to Europe in the 1980s and 1990s and started their own business. The children speak like Czechs and think like Czechs but look Vietnamese, and have lost an emotional connection to their parents and their culture. Within the 100th anniversary celebrations, a music show and a cuisine day were also held in Hanoi in late October. Vietnamese artists brought a rich Czech and Slovak ambiance with traditional songs, representing the friendship and cultural exchange between the three countries. The cuisine day, meanwhile, gave Vietnamese visitors a taste of the best Czech and Slovak food from Chef Gabo Kocáb. Another highlight was the launch of a Vietnamese- language translation of the book “Czech Republic - Land and People”, introducing general information on the country’s brief history, popular sites, typical festivals, food, and culture. Literature is one area where the embassy has paid particular attention. 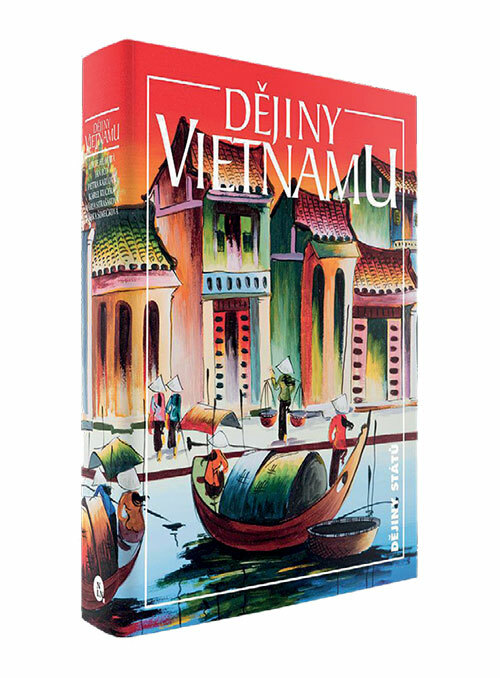 In August, “Dějiny Vietnamu” (Vietnam’s history) was published in the Czech language, allowing Czech readers to learn about Vietnam’s history from its first days and important periods such as French colonial rule and the American War to modern Vietnam today, including culture, language, literature, religion, and diplomatic policy. The book also provides information on the development of the relationship between the Czech Republic and Vietnam. In May, a collection of Czech and Slovak poems translated into Vietnamese by Vietnamese writer and translator Do Ngoc Viet Dung was introduced at the European Book Day. 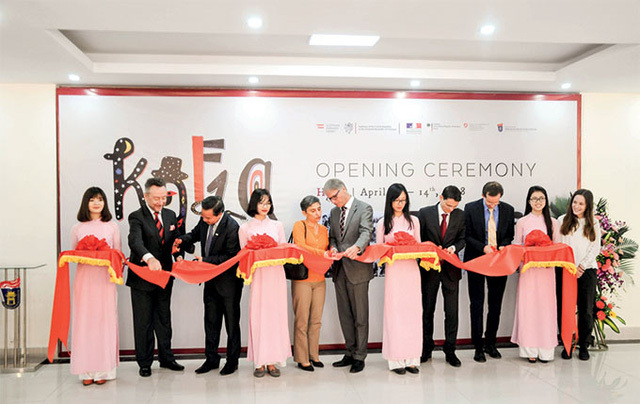 In March, the first Kafka Festival 2018 was organized in Hanoi to celebrate the 135th birthday of the Czech writer Franz Kafka (1883-1924), who is regarded as one of the most influential writers of the 20th century. Taking place for more than a month, the festival included photos and documents, seminars, artistic performances, films on Kafka and his famous books, such as The Trial and The Castle, and a writing contest on Kafka at over 20 cultural venues in Hanoi, allowing readers and lovers of literature to re-discover the man’s life, literary heritage, unique philosophy, and significant influence on posterity. The festival welcomed a lot of visitors, according to Mr. Musil. In celebrating the 100th anniversary, the Czech Republic and Slovakia together celebrated National Day on October 30, with the participation of Vietnamese friends from government organizations and those who used to live in the two countries, presenting an opportunity for them to meet and celebrate with Czech and Slovak food and drinks. In addition, a mini football tournament will also be held in December as part of the celebrations. Four teams, from the Embassy of the Czech Republic, the Ministry of Foreign Affairs, the Czech-Vietnam Friendship Association, and Vietnam-Slovakia Friendship Association, will play each other to strengthen the friendship between the three countries. With some 80,000 Vietnamese living in the Czech Republic, the two countries share a range of similarities and influence each other, Mr. Musil added. Vietnamese cuisine, particularly “pho”, is among the most popular in the Czech Republic. The surname Nguyen is also one of the ten most-common in the country, including many newborn babies from Vietnamese families. When Mr. Musil came to Vietnam to take up office, he and his colleagues felt perfectly at home, as they could easily find Czech beer and food at Czech-style pubs and restaurants. “Vietnam and the Czech Republic have a strong relationship that we always want to keep alive,” he said.